The Forte Cricket bat is a full size relative to a tapering edge. The profile also has zero concaving, a rounded face and a subtle bow. This robust model has a “middle to low” middle which favours a driving game. This new shape was developed over this last summer that has had immediate success among our professional customers as the profile has a particularly pleasing aesthetic. The handle shape is a subtle oval for the bottom hand, and round for the top hand. Gripped with the white Bradbury matrix grip, the labels show the purple detail. The Forte is available in the full spectrum of standards. Unless otherwise stated, a full-size bat indicates the overall length of the bat and handle conforms with industry standards. The Forte is available in a small size, which was formally labelled Small Mens. This size has a narrower blade which is reduced in length by 10mm. Not available in junior sizes. 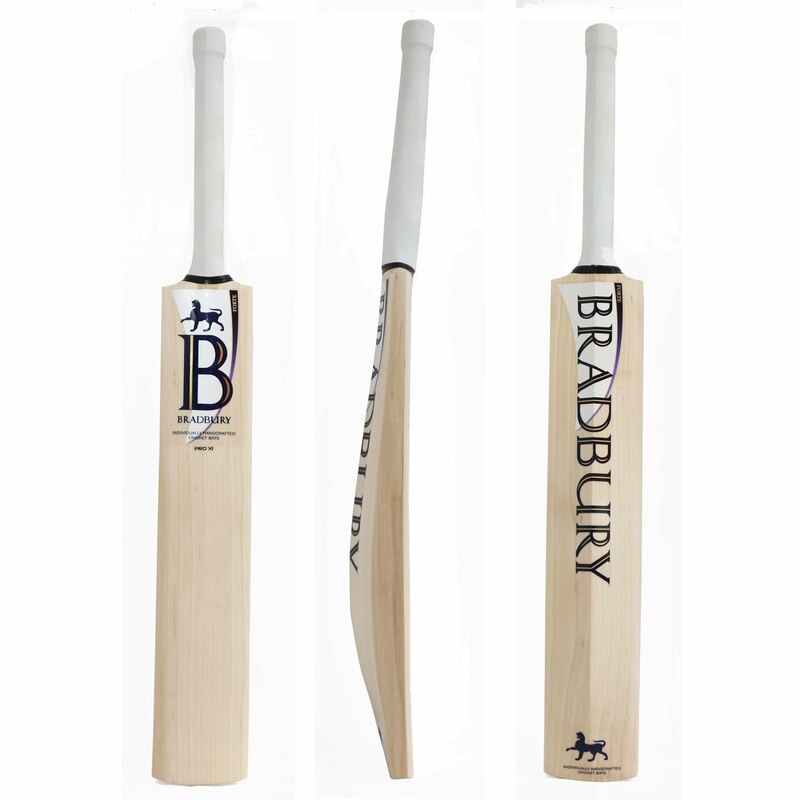 Professional cricket bat that is designed for big hitting and power play. Available in five standards, full size and small in various weights to choose from.